Here at Browns we are official stockists of Osmo Woodcare products for the preservation and maintenance of your oak doors, oak windows and oak flooring. Having used the product for the past 10 years we believe it complements and enhances the beautiful grain of oak. 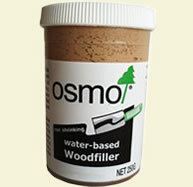 If you require further information on product selection please call our sales team or alternatively visit the Osmo website. 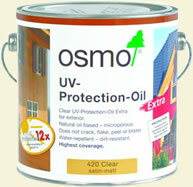 We recommend UV PROTECTION OIL for all our external oak windows and Oak doors. Optimal protection from the sun, the first clear oil based UV protection for exterior use. The UV protection factor 12 effectively prevents the greying process without covering the natural beauty of oaks natural colour and character. Clear satin-matt finish. Especially recommended for exterior use. Available in 0.75ltr and 2.5ltr cans. 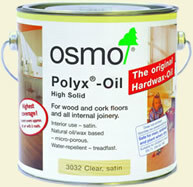 We recommend POLYX OIL for all our internal oak doors, oak windows and oak flooring. It retains the natural character of oak whilst increasing the durability. It is water, dirt resistant and extremely hardwearing. Number of coats: 2 coats on raw wood. 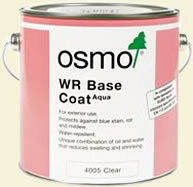 We recommend WR BASE COAT for all our external oak windows and doors. The special preventive wood impregnation against insect and fungal attack! Clear for exterior use. Especially recommended for wood not in contact with the ground, e.g oak windows, shutters, oak doors, cladding and garden furniture. 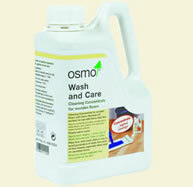 Natural cleaning and maintenance concentrate for oak floors. For regular cleaning and care, especially effective in the removal of fruit juices, milk, cola, beer, wine, coffee and other day to day marks and stains. Perfect for filling small cracks and splits, can be sanded and stained when dry. We find that MID OAK complements our oak flooring perfectly.